Magento Connect (finally) canceled support for SSLv3. 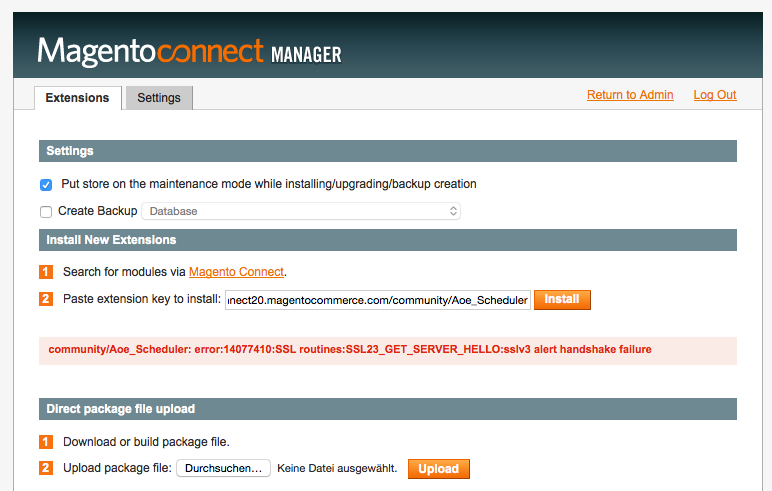 Thus, when Magento downloader tries to communicate with Magento Connect server it fails due to incompatible security protocols. You can easily fix this error by specifying TLSv1 as alternative security protocol.